Encountering gigantic and magnificently executed but isolated, eroded, and partially destroyed sculptures in the hills and along the coast of Peru eventually led him inland to the Marcahuasi plateau where he found hundreds of stone ruins and formations of animal and human figures. In the late 1990s, Linda Moulton Howe shared some of Bill’s photographs with me. One of the photos was of a human form that had been carved out of bedrock. Like the Face on Mars, which I was studying at the time, the Marcahuasi face stares up at the sky. But unlike the highly eroded stone figures in other photos I had seen, the face in this photo showed clear signs of having been carved out of bedrock using advanced technology (Figure 1). With just a photograph it was hard to say more about this mysterious stone face at the time – a decade before Google Earth, and two decades before imagery existed of sufficient resolution to be able to locate the formation in an overhead view. 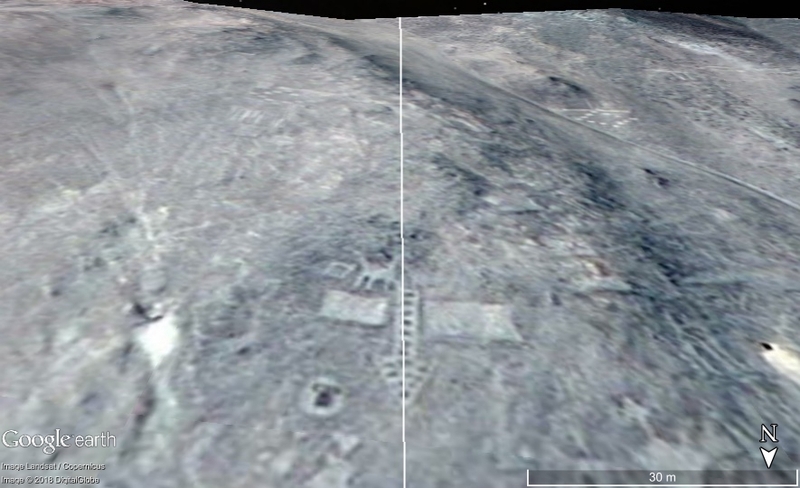 After an extensive search of Marcahuasi using Google Earth, I was able to find the stone face (Figures 2 and 3) in a Digitial Globe image over the northwest section of the plateau (11.775670° S 76.581853° W). Ruzo mentions that the visual effects produced from shading and shadowing on the stone sculptures are most pronounced near the solstices. To my surprise, I discovered this face is not aligned with the cardinal directions or to the solstices. If however, we consider previous locations of the North Pole as described in Before Atlantis, it can be shown that when the pole was in the Norway Sea the sun would have set directly west of the face on the summer solstice (Figure 4). Figure 4 Alignments of Marcahuasi face. Current solstice alignment (white line). Direction to Norway Sea pole (solid yellow line). Solstice alignment relative to the Norway Sea pole (dotted yellow line). 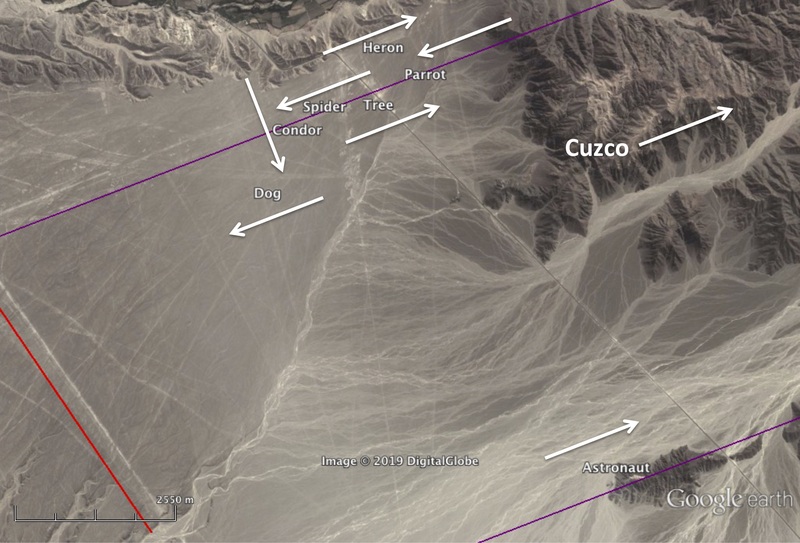 It turns out that the face is also aligned in the direction of the sacred city of Caral-Supe, which is about 90 miles to the northwest. 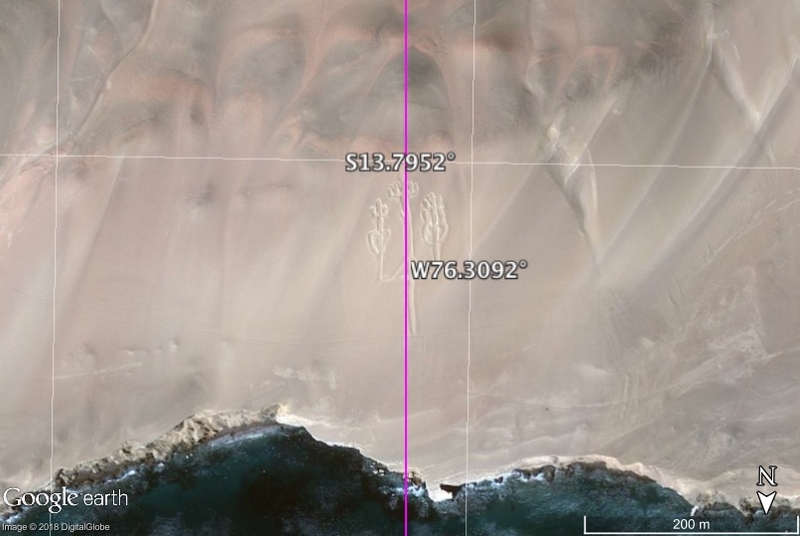 In Before Atlantis it is shown that Caral-Supe could have once been aligned to the Norway Sea pole and that two other sites along the Peruvian coast in Chavin and Warawtampu also face Caral-Supe (Figure 5). The Norway Sea pole alignment is interesting as it suggests that these sites could have been first established between 75,000 and 125,000 years ago. In a previous post, we proposed that Por Bajin, a remote site in Siberia that also references the Norway Sea pole, could have been built by Denisovans, an earlier human species that coexisted with Neanderthals as long as 500,000 years ago. Ruzo believed the structures on the Marcahuasi plateau were ancient stating “traditions speak of the giants or Huaris, legendary beings, builders of the cyclopean structures, the remains of which persisted until the Incas.” Fossil evidence indicates that Denisovans were considerably larger than modern humans. Could these giants of the Marcahuasi plateau have been Denisovans? Future articles will continue to explore the revolutionary hypothesis that the oldest artificial structures on Earth were not built by modern humans but by a previous race who had evolved into an advanced worldwide technological civilization 100,000 years ago or more. 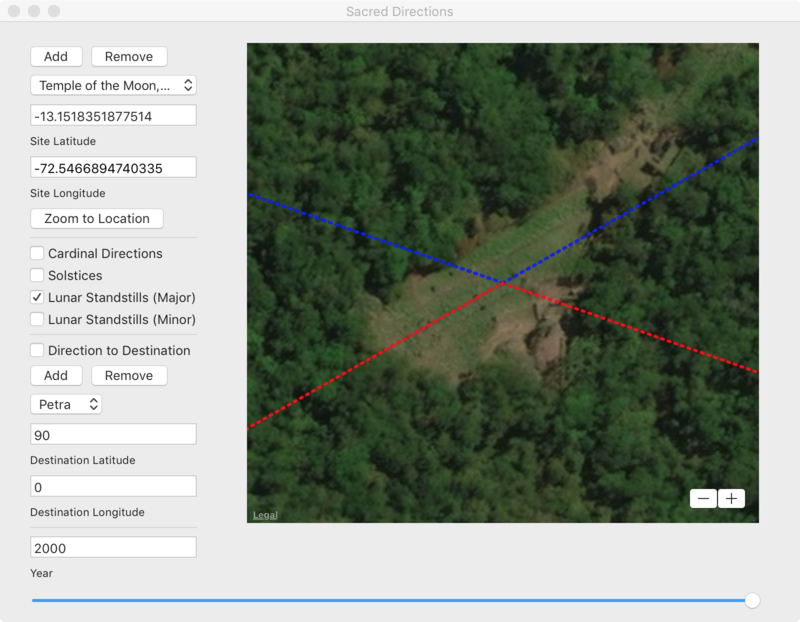 Bill Cote, “Marcahuasi – A Mystery in Stone,” Louisiana Mounds Society New letter, no. 42, p. 1, October 1, 1991. Figure 1 The Badlands Guardian is barely evident in Alberta’s earliest air photos taken in 1949-1951. Twenty-five miles east of the town of Medicine Hat in Alberta Canada is a landform that resembles a face looking due west. 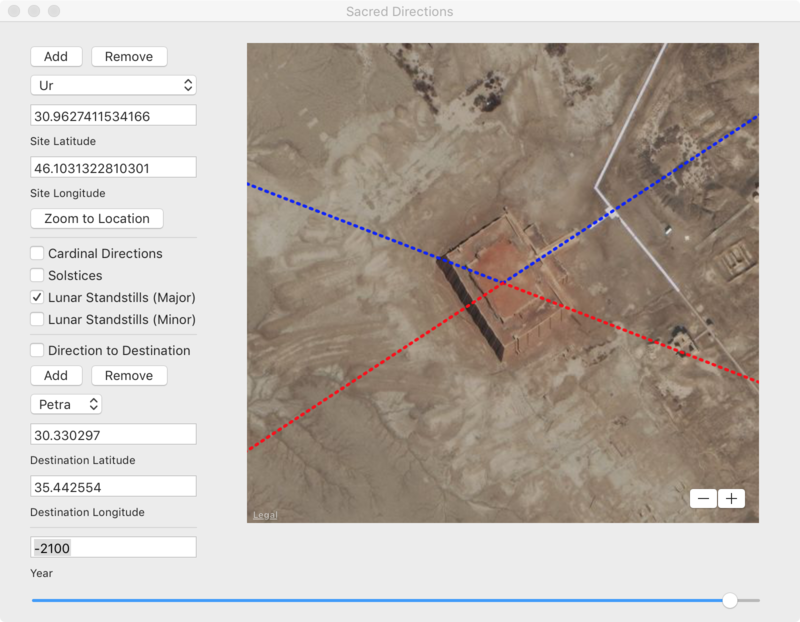 This feature known as the Badlands Guardian was first discovered in Google Earth imagery in 2005. Although the feature is thought to be the result of erosional processes there is much about it that is unusual. First is the visual form itself – that of a human figure, similar in appearance to the indigenous people from this part of Canada, wearing a headdress. It could have been any ethnic group. That it appears to represent the people native to the area is an interesting coincidence. Second, the formation is aligned to north. There are perhaps hundreds or even thousands of similar badlands formations in North America. That one of these formations is oriented to north is not unusual in itself. 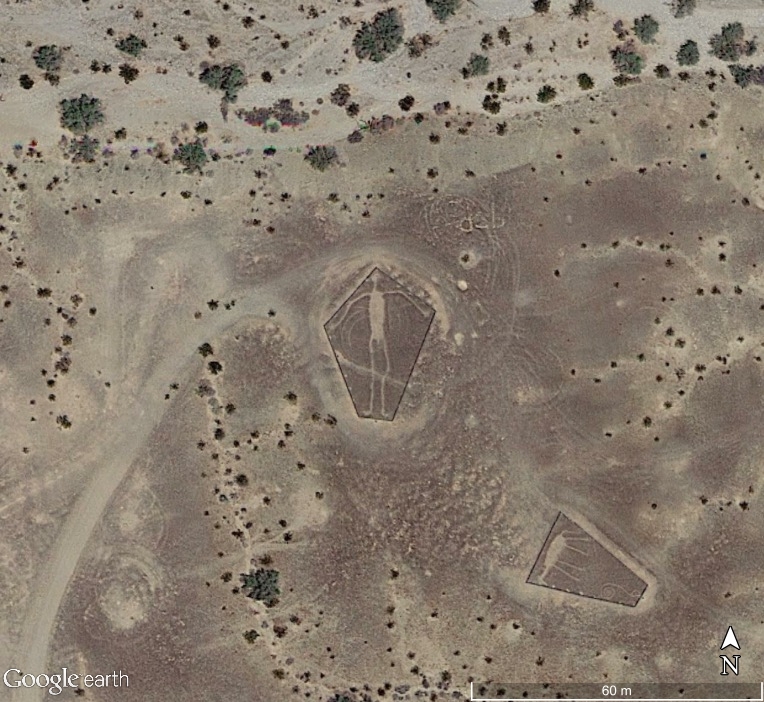 That it is aligned to north and depicts the indigenous people would seem to be an unlikely coincidence. Figure 2 Appearance at noon on the summer solstice (left), Equinox (middle), and winter solstice (right). Even more remarkable, the alignment of the feature to north and to the path of the sun is such that the feature maintains a consistent appearance at noon over the course of the year (Figure 2). This would not be the case if it were oriented in another direction. Figure 3 The Badlands Guardian is not visible at ground level. The Badlands Guardian is an example of the hollow face illusion. 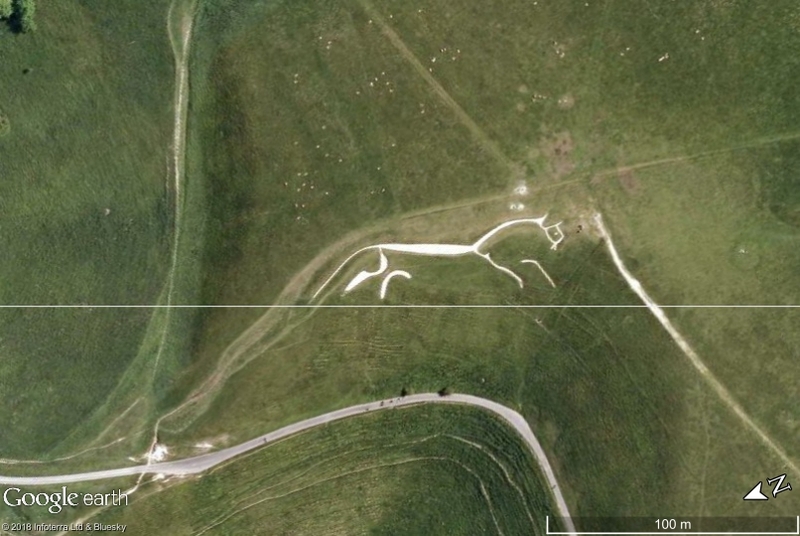 Like numerous geoglyphs across the world the Badlands Guardian can only be seen from above (Figure 3). Although it is likely that nature conspired to produce this phenomenon by the interplay of countless random events, it is not impossible that a pre-existing landform could have been modified in specific ways to produce this face. Either way, the Badlands Guardian is a remarkable feature. Sigiriya is an ancient rock fortress located in the middle of Sri Lanka. It is an imposing landform standing approximately 660 feet above the surrounding countryside. 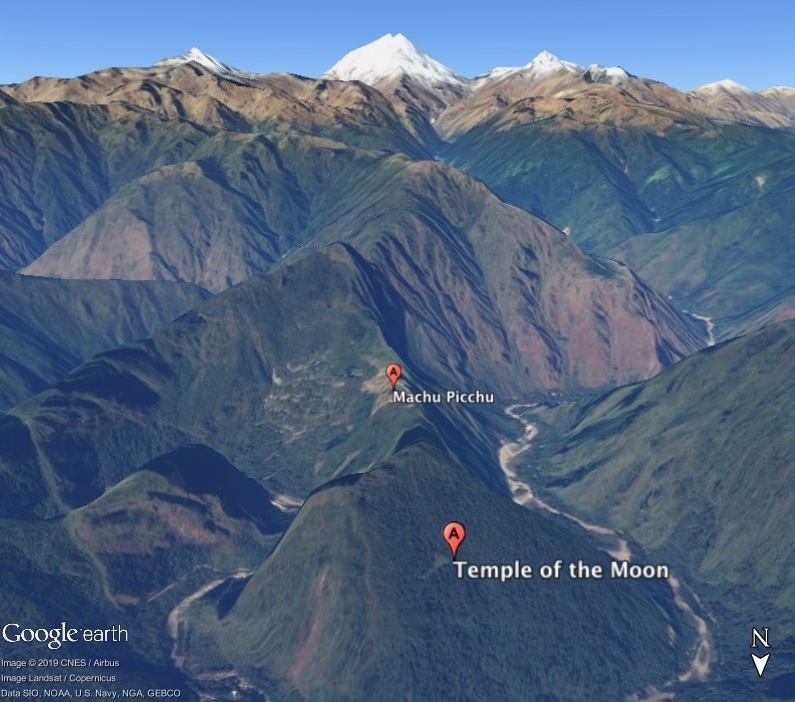 King Kassapa chose the site for his new capital and palace in the 6th century CE. The palace was at the top of the fortress, which today contains numerous terraces and pools. The entrance is through a gateway in the form of an enormous lion, of which only the claws remain. Sigiriya is also believed by some to be the mythological city of Alakamandava – the City of the Gods – built by King Kubera, the half-brother of Ravana as described in the ancient Hindu epic poem the Ramayanaya. Was Sigiriya built by King Kassapa or did the site already exist, perhaps dating back to the time of King Kubera or earlier? The rock fortress and surrounding complex are rotated approximately 8.5 degrees east of north. 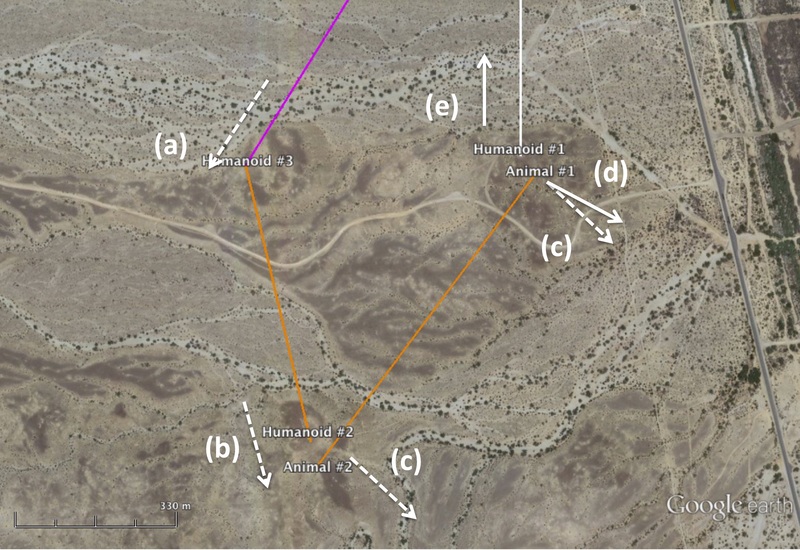 Amelia Carolina Sparavigna has determined that the site is aligned to the sunset on the days when the sun at mid-day is directly overhead. At the equator, the sun passes directly overhead on the equinox. The sun can also pass overhead at places near the equator on days surrounding the equinox. For example at Sigiriya, latitude 7.95° N 80.75° E, this happens around September 1 and April 11, which is about twenty days after the spring equinox and twenty days before the fall equinox (Figure 1). 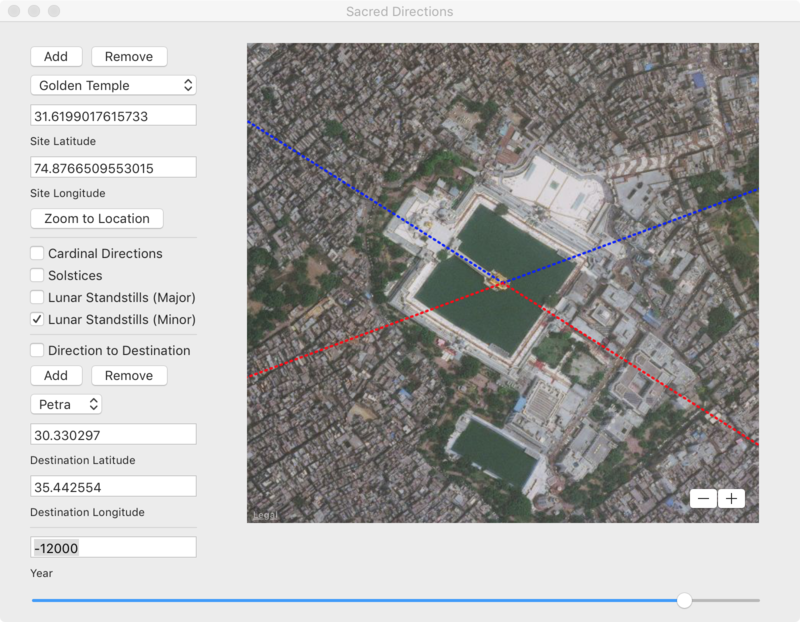 Figure 1 The site is aligned to sunset on days around April 11 and September 1. 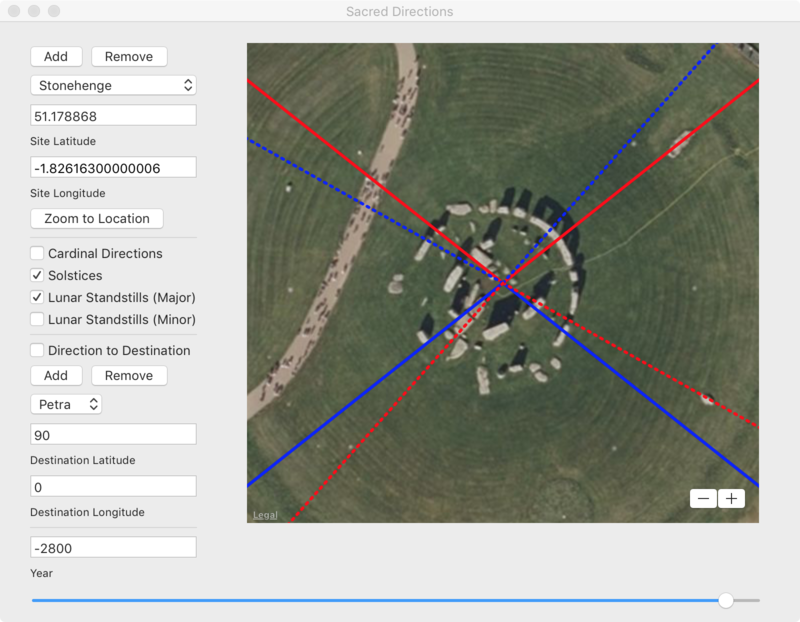 The days of the zenith sun – when the sun passes directly overhead – are the same every year so the alignment cannot be used to date the site by itself. Could the name “Sigiriya,” which means “lion rock” in the native Sinhalese language have some celestial significance; for example, is it associated with the constellation Leo, one of the twelve zodiacal constellations, which was also known to Vedic astrologers? There are twelve astrological ages corresponding to the zodiacal constellations, each about 2160 years long, that add up to a precessional cycle of 26,000 years. The astrological age in which we live is defined by the heliacal rising of the constellation on the first day of spring. This year, on the first day of spring, the sun rises in the constellation Pisces. The sun rises in different constellations on other days. 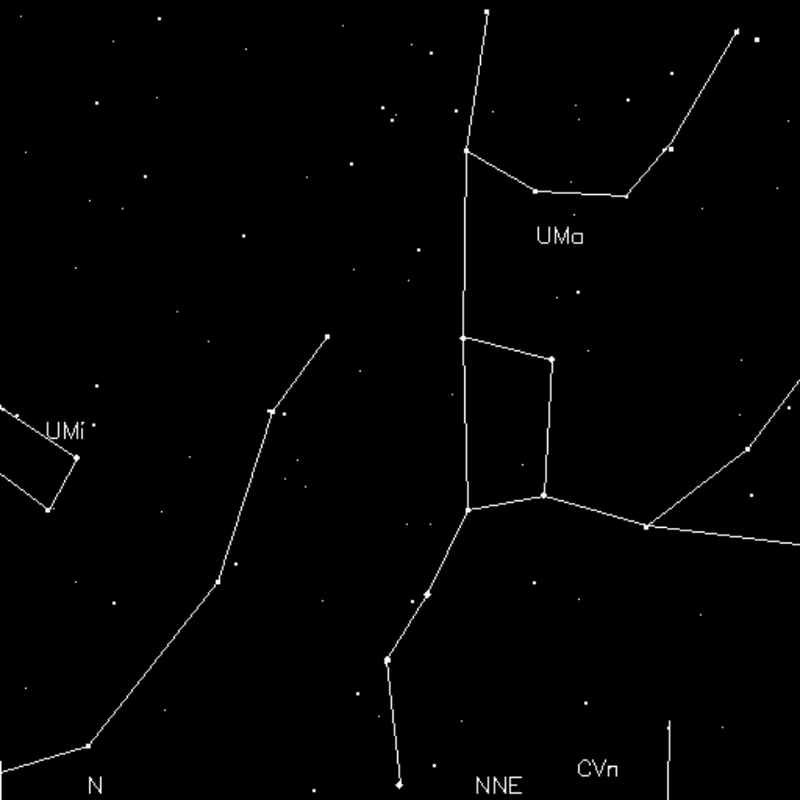 On September 1, the sun rises and sets in the constellation Leo (Figure 2). If Sigiriya were a modern site, aligning it to Leo on this day would have symbolic significance. During the reign of King Kassapa, the sun set in Virgo on September 1 (Figure 3). Why would King Kassapa build a site representing a lion that is aligned to Virgo? Perhaps he did not build Sigiriya but co-opted a site that was already there. When was the last time the sun rose and set in the constellation Leo? 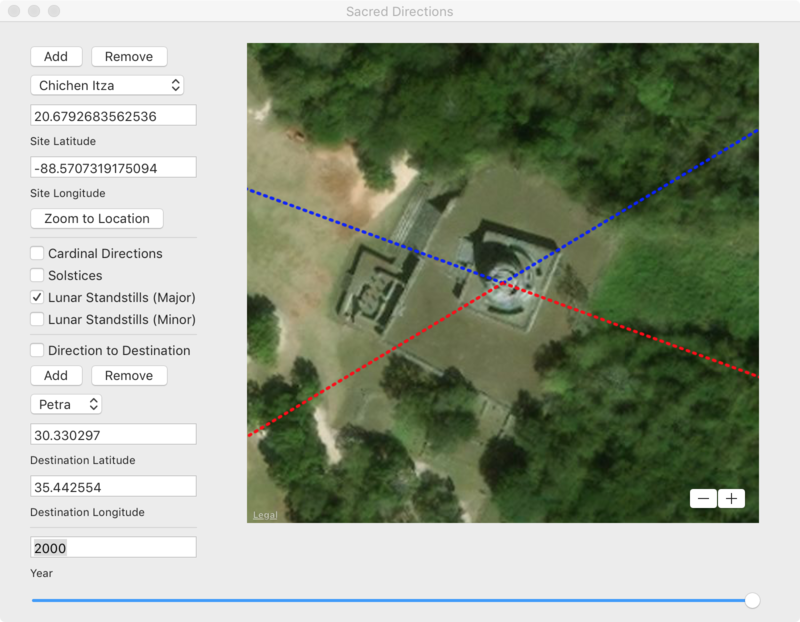 There are two answers based on Sigiriya’s alignment. In the fall, on or around September 1, the last time the sun rose in Leo was one full precessional cycle ago, 26,000 years, or about 24,000 BCE. (Given the cyclic nature of the precessional cycle, its age could conceivably be N x 26,000 years, where N is an integer.) In the spring, on or around April 11, the last time the sun rose in Leo was about 5 astrological signs ago, 5 x 2160 = 10,800 (or 10,800 + N x 26,000) years ago as determined from the diagram below. Figure 4 Western zodiac shifts one astrological sign every 2160 years. On the spring equinox, the last time the sun rose in Leo was 6 x 2160 = 12,960 years ago, which is believed to be Zep Tepi or “First Time” when the pyramids and Sphinx were first established on the Giza plateau in Egypt. Did the builders of Sigiriya use a solar alignment on a different day, April 11, to mark a date, around 8800 BCE, when the site was first established, perhaps by King Kubera during the time of the Ramayana? Expert interpretation of Vedic astrology in this context, which is beyond the scope of this article, might provide additional insight. 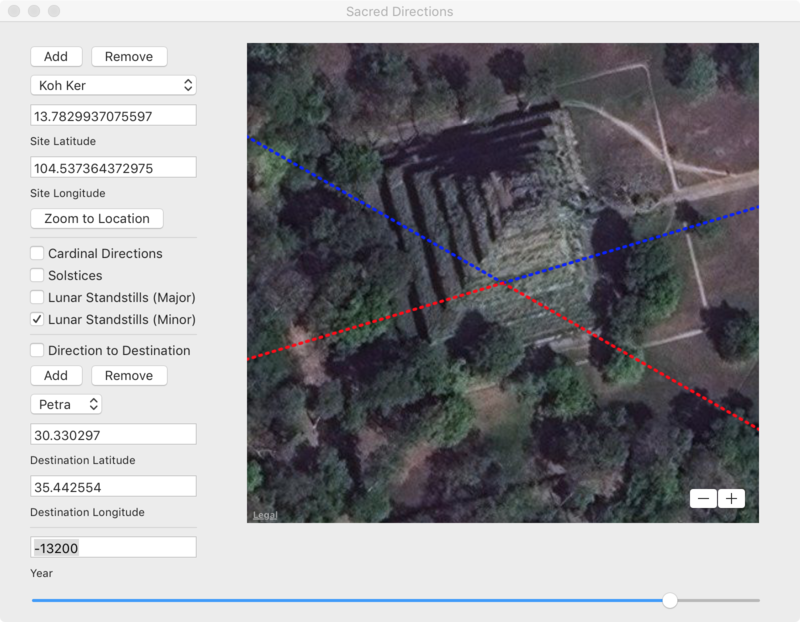 Hapgood’s pole shift hypothesis provides another even more ancient dating for Sigiriya. 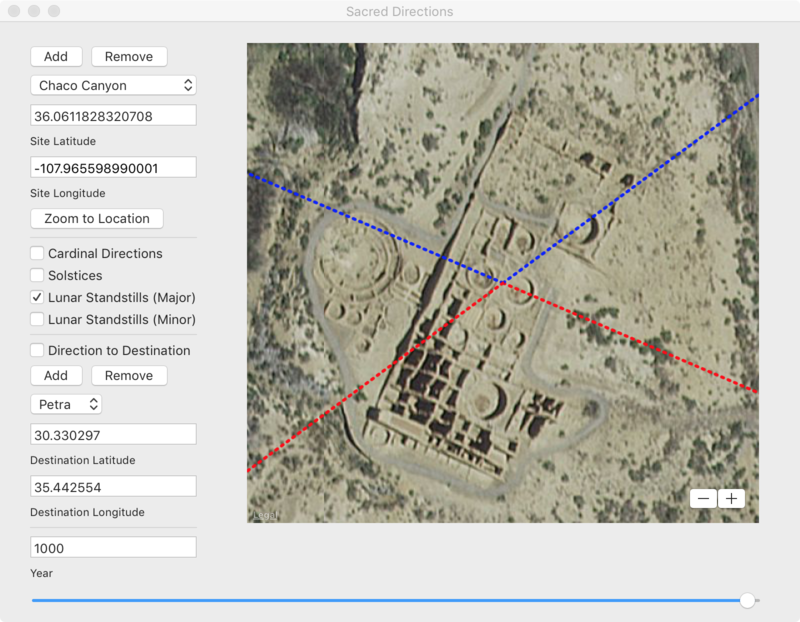 Our method of using pole shifts to date archaeological sites assumes sites were aligned to the north or to celestial events such as solstices referenced to north at the time they were built. In Before Atlantis we discovered two of the sites that point to an ancient pole in the Bering Sea refer to lions. Cuzco and the neighboring fortress of Sacsayhuaman are thought to represent a puma, a mountain lion. The temple of the Winged Lions in Petra also incorporates lions into its design. Figure 5 Aligned to an ancient pole in the Bering Sea (red arrow) Sigiriya is aligned in the direction of the summer solstice sunrise. Could the Lion Rock of Sigiriya be another site that is aligned in some way with the Bering Sea pole? 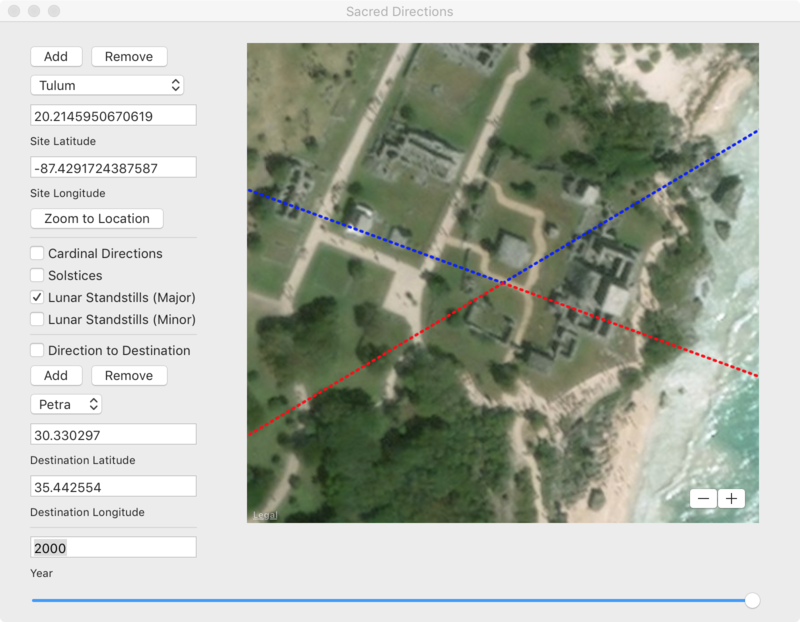 It can be shown that if Sigiriya were built when the pole was in the Bering Sea it would have been located almost exactly on the equator and rotated in the direction of the summer solstice sunrise (Figure 5). 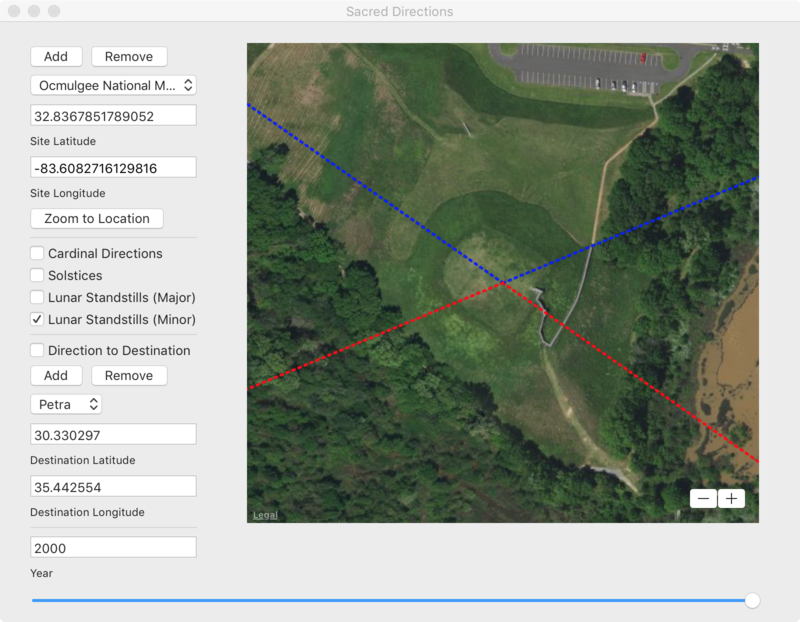 Not itself aligned to the cardinal directions, perhaps this was the best the builders could do to modify a pre-existing landform in order to somehow reference the sky at that time. 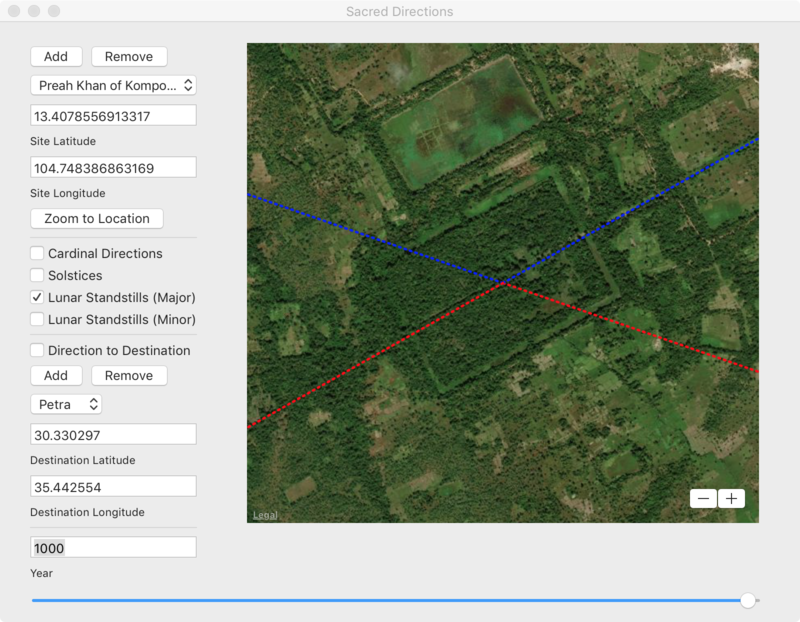 If this was, in fact, the case then based on this alignment and Hapgood’s dating of an ancient pole near Alaska, Sigiriya could be 100,000 years old or more. 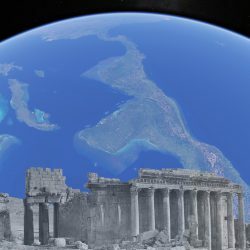 Before Atlantis describes the discovery and possible implications of the alignment of over fifty sites throughout the world to what could have been several previous locations of the North Pole over the past 100,000 years. This was for me no less exciting than the discovery of numerous celestial alignments atop a rocky plateau called Poles Hill in Gloucester Massachusetts a few years before. Poles Hill is located in a tidal estuary along the Annisquam River. During the last Ice Age, from 12,000 to perhaps as far back as 50,000 years ago, Gloucester was buried under a vast ice sheet. Over this time as the glacier was advancing, rocks called erratics were carried hundreds of miles by the ice. As a local saying goes, “This being the last place created, all the rocks not needed in the rest of the earth were dumped here.” Poles Hill is one such place. I learned about Poles Hill from a local anthropologist who believed it was once a Native American ceremonial site that might contain stone circles, standing stones, petroglyphs, and other lithic formations. On my first visit to Poles Hill, also called Sunset Hill, I looked for an arrangement of altered stones lined up in a westerly direction, possibly in the direction of a solstice sunset. What I found instead was a chaotic landscape – a rocky plateau of fractured bedrock dotted with erratics, not unlike other parts of Cape Ann. Summer solstice sunset at Poles Hill as seen from the central sighting stone (foreground). Although I had found several rocks that could have served as sunset markers, only after returning a second time was I able to identify the sunset rock – a large erratic located on the western edge of the plateau on a section of exposed bedrock, and the place one would have to stand to see the sun setting behind it on the first day of summer. That place, near the middle of Poles Hill, was next to a very unusual stone seemingly placed on a knuckle of bedrock about 130 meters away. Saving the geo-coordinates on my GPS, I located the rocks in Google Earth imagery, drew a line between them and verified that the line of sight was in the direction of the summer solstice sunset. Figure 3 Central sighting stone for observing solstice sunrise and sunset events. Having located the sunset rock, I wondered if perhaps there was a sunrise rock too. Using Google Earth to search for boulders in the direction of the summer solstice sunrise, I found a candidate that was roughly the same size as the sunset rock about 165 meters to the northeast of the sighting stone. A few days later I ventured out on an unseasonably cold March afternoon and found a very distinctive looking boulder composed of pink granite that would be visible from the sighting stone provided there was a clear line of sight. This was later confirmed after trees and brush were cleared out along the sightline. Pink granite boulder marks the direction of summer solstice sunrise from the central sighting stone. According to a local geologist, all three of these stones were erratics whose shapes had probably been altered by a process known as spalling. Otherwise, by repositioning as few as two of these three erratics, someone could have constructed a basic solar calendar using very little effort. Since the terrain on Poles Hill slopes down southwest towards the Annisquam River, there would seem to be no winter solstice sunset alignment. But, as it turns out there is a way to experience the winter solstice sunset at Poles Hill. The sun sets on the first day of winter opposite to the direction where it rises on the first day of summer, and sets of the first day of summer opposite to the direction it rises on the first day of winter. At Poles Hill, around the winter solstice at sunset, the light of the setting sun to the southwest illuminates the pink granite summer solstice sunrise rock to the northeast. In my opinion, the effect is even more dramatic than the sun rising over the marker on the first day of summer. Standing at the sighting stone, as the sun dips below the horizon your shadow stretches all the way to the summer sunrise rock as shown in the photo below. View from the sighting stone (foreground) looking northeast toward the summer solstice sunrise marker illuminated at the winter solstice sunset. 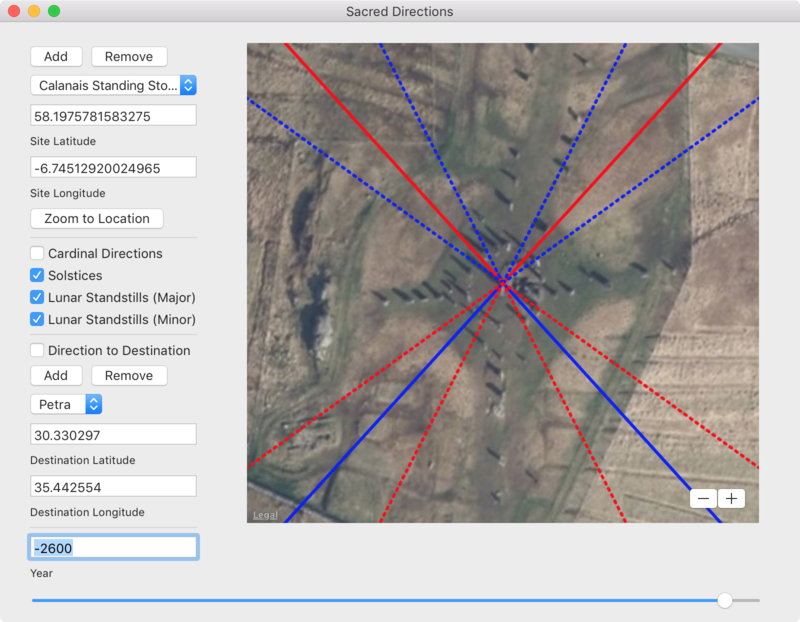 There is much more to Poles Hill than solar alignments. 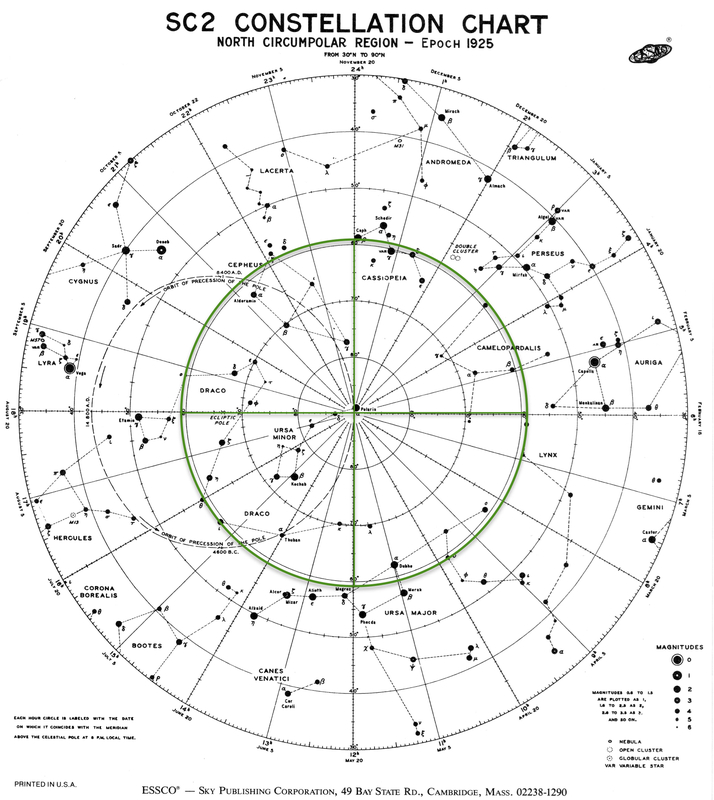 In the spring we will discuss equinox alignments at Poles Hill including an interesting pattern of stones that appear to be correlated to bright stars in several circumpolar constellations, including Draco. Por-Bajin is a remote archaeological site located in the mountains of southern Siberia. The walls of the site, which resemble a fortress, are massive – up to 10 meters tall and 12 meters thick at the base – enclosing an area of about seven acres containing the remains of dozens of buildings. Constructed from clay supported by wooden beams, the buildings within the site are thought to have been built around 780 CE by a nomadic people known as the Uighurs. What is particularly unusual about the site is that it is located on an island in the middle of a shallow lake almost literally in the middle of nowhere. If it were a fort, a shallow lake would offer little protection. Adding to the mystery is a lack of artifacts and evidence of sustained occupation. Perhaps this should come as no surprise as the ground beneath the buildings is permafrost and the buildings had no apparent heating system. Archeologists admit that after two years of intensive fieldwork, with one-third of the site excavated, Por-Bajin remains a mystery. Although the site is said to be oriented east-west, Por-Bajin is, in fact, rotated 7.5 degrees east of north. Can its orientation offer any clues about when it was built, and by whom? Figure 1 View from inside Por-Bajin looking eastward. Siberian Times. In China, there are numerous earthen pyramids that were constructed as mausoleums and burial mounds containing the remains of early emperors and their families. Some of these pyramids are oriented to the cardinal directions, but some are not. Historically, the art of placing, arranging, and orienting cities, streets, palaces, houses, and tombs, known as divination, geomancy, or Feng shui, has been an important element in Chinese landscape design and city planning. Researchers from the Czech Republic have shown that there is a correlation between the orientation of many Chinese pyramids and the location of the magnetic pole at the time they were built. The magnetic pole wanders slowly over time. By using a model of the past motion of the magnetic pole and knowing the approximate construction date of the site, the Czech study shows that some form of magnetic compass, which was known to the Chinese as early as the fourth century BCE, could have been used to align the pyramids to magnetic north. Archaeologists have noticed that the architecture and construction methods at Por-Bajin are similar to those in China at the time. 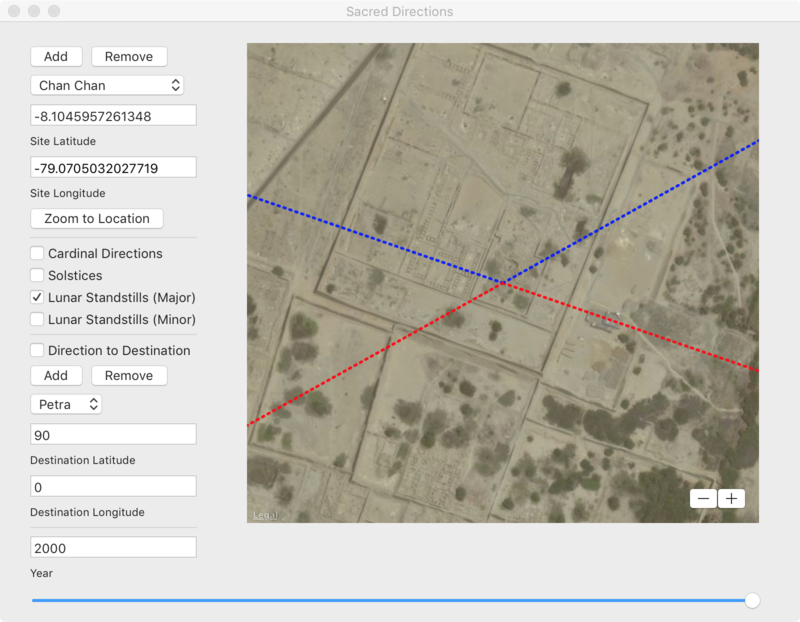 Did the builders of Por-Bajin use a compass to align the site to magnetic north? 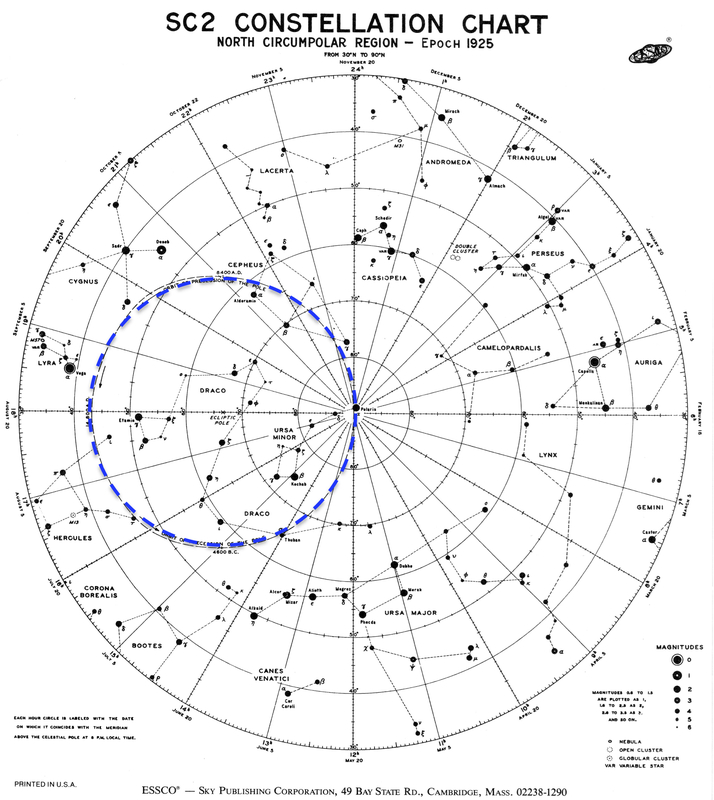 At the time of construction in 780 CE, the north magnetic pole was located near 83°N 40°E (Figure 2). A compass reading at Por-Bajin would have pointed 10° west of north, about 17.5° west of the site’s alignment to north. It is thus highly unlikely that a compass was used to align the site since it would have pointed in the wrong direction. 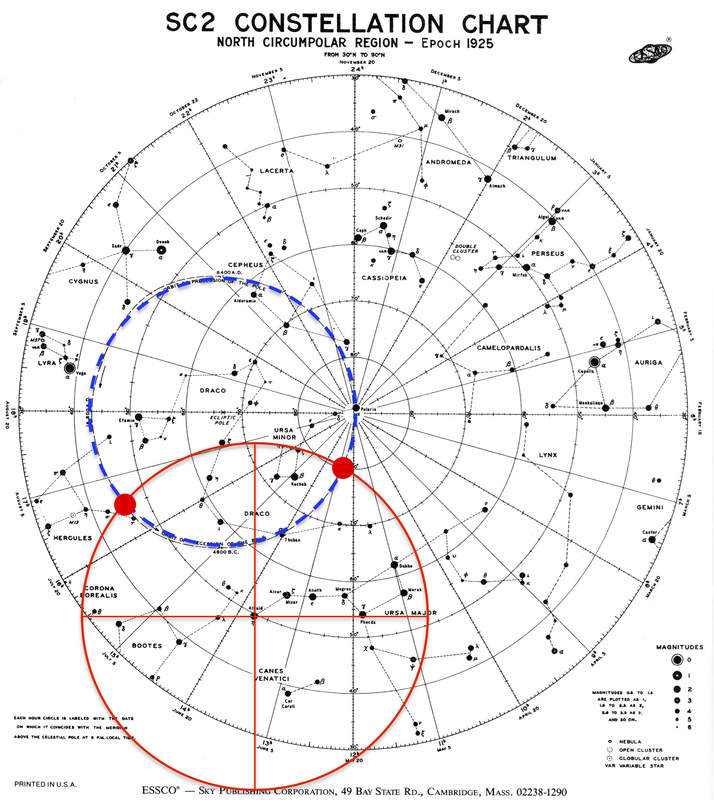 Figure 2 Location of the north magnetic pole at 780 CE is located at 83°N 40°E (orange circle). The magnetic declination at Por-Bajin would have been approximately 10° west of north (from McElhinny and McFadden ). 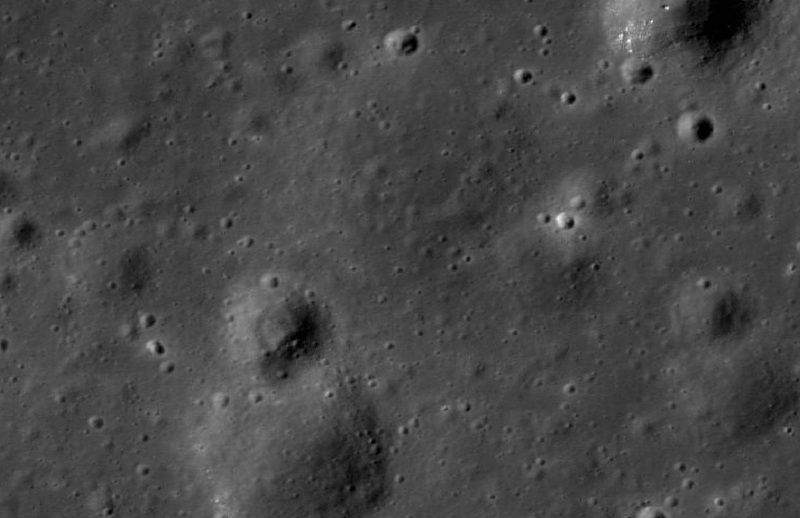 Does the azimuth angle of the site, 97.5°, coincide with solar or lunar events such as solstices or lunar standstills? Table 1 lists sunrise azimuths at the summer and winter solstices and moonrise azimuths at the major and minor lunar standstills at Earth’s minimum and maximum obliquity angles. Clearly, the site is not rotated enough to the east to line up to any of these events. Was Por-Bajin aligned to a previous location of the North Pole? The Hudson Bay, Greenland, Norway Sea, and Bering Sea poles are located at azimuth angles −2.4°, −4.4°, −28.2°, and 47.9°, respectively. Again, the answer is no. 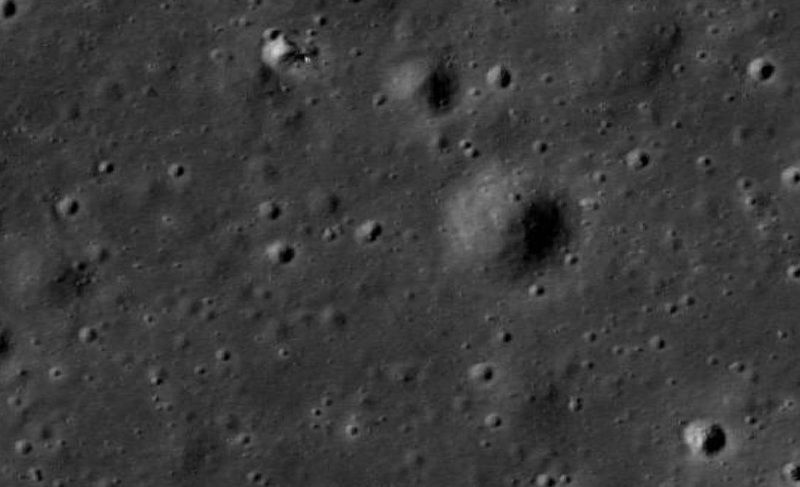 There is one last possibility – that Por-Bajin could have been aligned to solar or lunar events referenced to earlier positions of the pole. Table 1 Minimum and maximum obliquity values of sunrise and moonrise azimuth angles at solstices and lunar standstills. Figure 3 East-west axis of Por-Bajin could have aligned with the winter-solstice sunrise when the North Pole was in the Norway Sea and Earth’s obliquity was near its maximum value (top yellow line in inset). Figure 3 compares the alignment angle of the site to summer and winter solstices and major and minor lunar standstills in summer and winter at minimum and maximum obliquity angles for the current pole (white), Hudson Bay pole (magenta), Greenland pole (green), Norway Sea pole (yellow), and Bering Sea pole (red). For an alignment to have been possible it must lie between the minimum and maximum obliquity values. 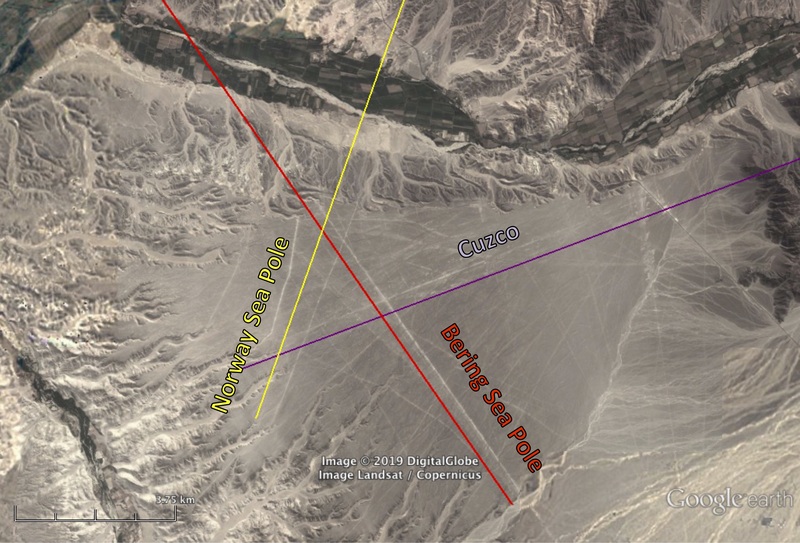 Comparing the orientation of Por-Bajin to these alignments we find that it would have lined up with the winter solstice sunrise if the pole were located in the Norway Sea. The Norway pole is −28.2° or 28.2° west of the current North Pole. The site would have been aligned at an azimuth angle of 28.2° + 97.5° = 125.7°, which is within 0.3° of the winter sunrise/summer sunset solstice angle of 126° at the latitude of the site when the pole was in the Norway Sea and Earth was at maximum obliquity (Figure 4). Notice that the diagonal of the site is aligned due east-west. This means that the solstice angle relative to east, 126° −90° = 36°, is also encoded in the aspect ratio of the site’s bounding rectangle; i.e., W/L = tan 36°. As shown in Figure 3 Por-Bajin would have aligned to the solstice when Earth’s obliquity was close to its maximum value of 24.2°, which occurred 9,000 years ago and reoccurs every 41,000 years. Using a modified version of Charles Hapgood’s original pole shift timeline places the North Pole in the Norway Sea 75,000 to 125,000 years ago. During this period of time, the site would have lined up to the solstice 9,000 + 2 x 41,0000 = 91,000 years ago. Figure 5 Aspect ratio of Por-Bajin is related to its orientation (see text). What is particularly intriguing about this date is that at this time, near the end of the Sangamon interglacial period, this part of the world would have been warmer, making the existence of Por-Bajin here in central Siberia much more plausible than it is today. The only problem with this dating is that according to accepted genetic timelines modern humans had not yet left Africa. Evidence of Denisovans – a long extinct humanoid species who coexisted with the Neanderthals about a half-million years ago – was first discovered in a cave located about 900 km west of Por-Bajin. Archaeologists there have mapped out 22 layers of sediment. 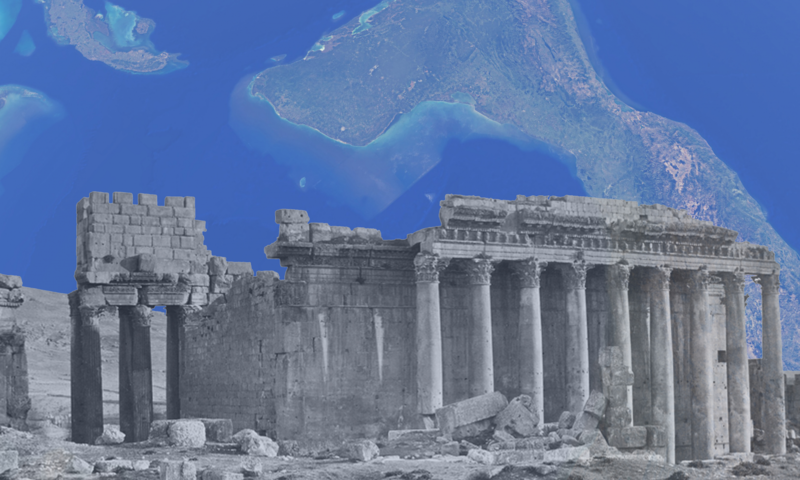 The earliest evidence of occupation is in the deepest layer (1) going back 282,000 years. In 2008 a stone bracelet was found in layer 11 that has been dated to about 70,000 years ago. The bracelet shows evidence of manufacturing technology typical of much later periods, including a hole made with what appears to have been a high-speed drill. Figure 6 A 70,000 year old Denisovan bracelet. Siberian Times. Given the apparent fine-scale technological sophistication of the Denisovans 70,000 years ago, and evidence suggesting that they inhabited this part of the world on and off for 200,000 years or more, could they have built larger structures during this period of time? Pushing the limits of what we know, given the Denisovans possessed an appreciation for jewelry and art perhaps they lived in other places besides caves. Earlier we wondered how and why a nomadic people built an enormous site on an island in the middle of a lake in such a harsh climate. Perhaps they did not. Could places like Por-Bajin have been first established by Denisovans that were co-opted by later civilizations, the last being the Uighurs? 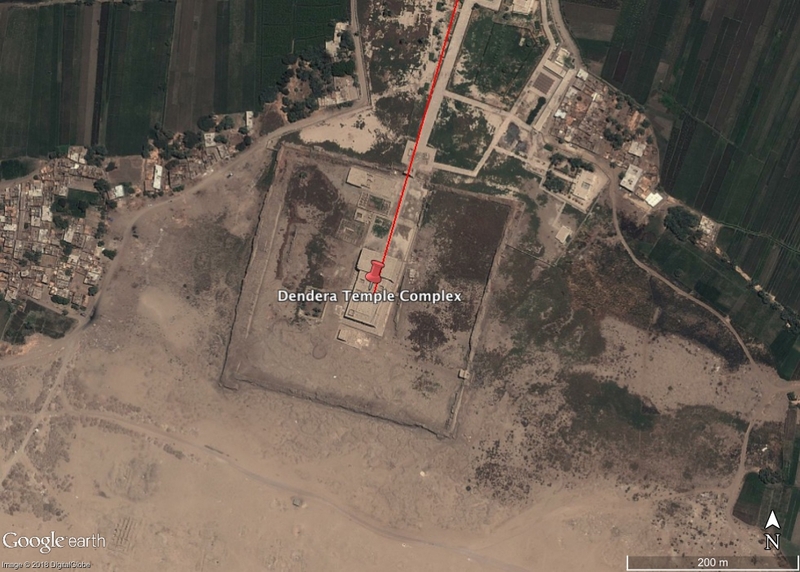 Perhaps deeper excavations at Por-Bajin and other nearby archaeological sites might reveal the true origin of these sites. Finally, one has to wonder if the Russian government’s interest in Por-Bajin, including its support of the excavation with paramilitary troops starting 2007, had anything to do with the discoveries being made in the nearby Denisova Cave at around the same time. Do they suspect, or have they already discovered a Denisovan connection between these two sites? Finding evidence of Denisovans at Por-Bajin would support the hypothesis proposed in Before Atlantis that the site was not built by modern humans in historical times but by an earlier indigenous technological civilization in the distant past.